Saturday May 4 is Free Comic Book Day. Of course our comic admin Rowdy has already entered ALL comics into the Collectorz.com comic database for your convenience, ready to download all issue details. 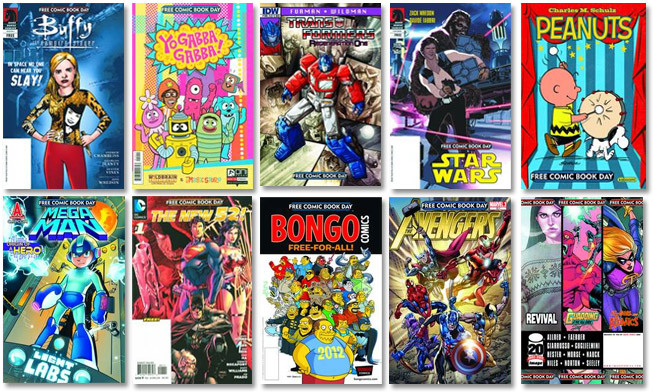 Free Comic Book Day is a single day – the first Saturday in May each year – when participating comic book shops across North America and around the world give away comic books absolutely *FREE* to anyone who comes into their stores. This year’s FCBD is on Saturday May 5. Use this tool to find a participating comic book store near you. All major publishers have created a special comic of their heroes for FCBD. All 42 issues have already been added to our comic database for your convenience. You’ll find them under ‘Free Comic Book Day 2012‘. We’re ready for May 5! This resulted in comments like ” I have that problem myself – though I’m not complaining about it” and “It must be an epidemic. I’m suffering that disease as well”. Being a collector too, I suffer from that illness as well. We’ve started implementing the Collectorz.com characters on our website and banners. AJ has created several new ads and Alwin has added Mickie and CeCe to the Movie Collection Software and Comic Collection Software homepages. Comic Collector users know her for quite some time: CeCe. She is our action heroine and features in the comic cataloguing software, on banners, ads and on the website. She brings our software to life and that is why we asked the creator of CeCe, LoopyDave, to give her four siblings for the DVD, CD, book and game collection software. 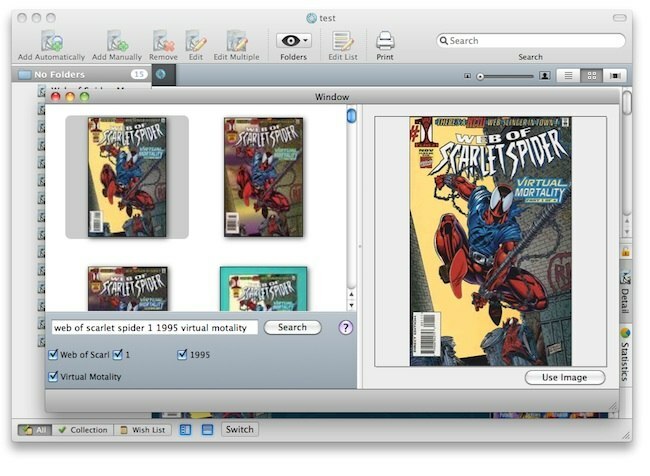 Comic Collector for Mac OS X is live! 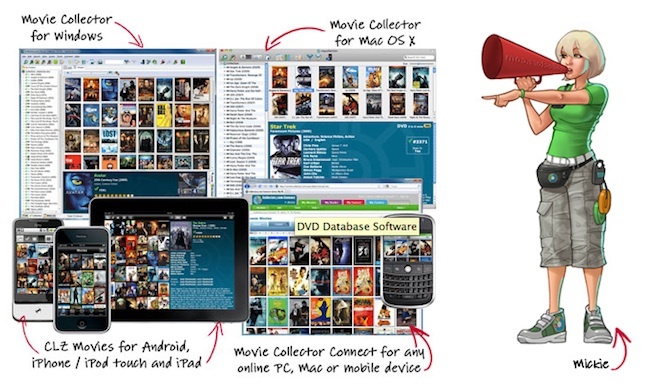 it has finally arrived: Comic Collector for Mac OS X! Comic Collector for Mac – one day to go! Yes, tomorrow is the day. 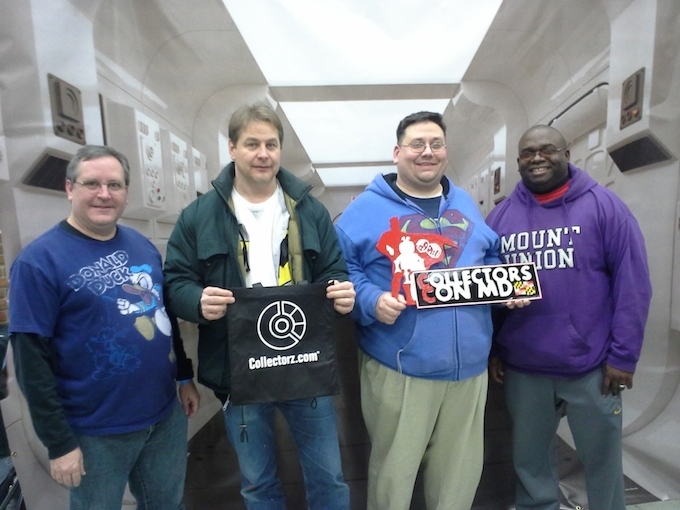 We are finally going to release the Mac edition of Comic Collector. 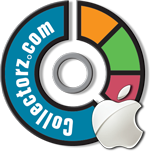 Alwin here, with the latest news on Comic Collector for Mac OS X. As you know, we were planning to release a full-featured Comic Collector for Mac on May 17. And with “full-featured”, I mean a Mac edition with all features of the current Windows edition. Well… I am afraid we will not be able to reach that goal. Tomorrow is Free Comic Book Day! And we’re ready for it. 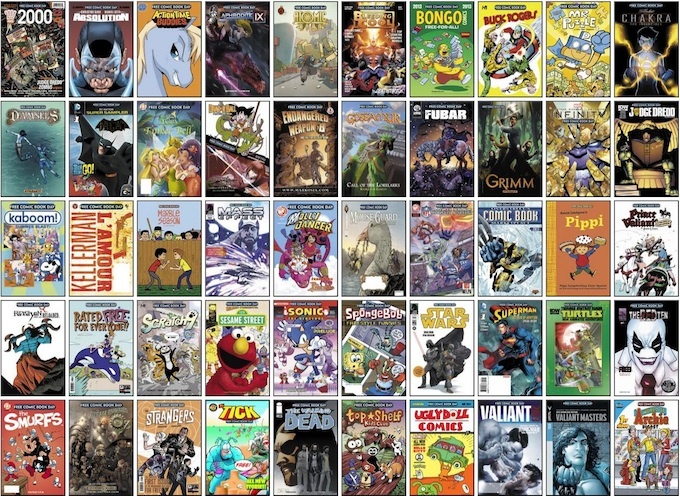 Data and cover art for all 38 FCBD 2011 issues is already available in our online comic book database, ready to be downloaded with our comic book cataloging software Comic Collector. We wanted to create a character for Comic Collector, a comic style superhero we could use in the software for details view templates, commercial banners and just overall on our website. Development on this character started and she became “CeCe”. Check out how she changed from initial sketches, to the final art showing CeCe in several different poses and of course, the Spiderman spoof cover art. The CeCe character is being used in various Comic Collector advertising campaigns. You may have seen banner ads featuring CeCe on your favorite comic-related websites. We are still aiming to release the Mac edition of Comic Collector on May 17, 2011. Dinh, Pim and Ronald are working programming as fast as they can to make that happen. Mark and AJ are testing every new feature or screen as soon as the developers finish it. 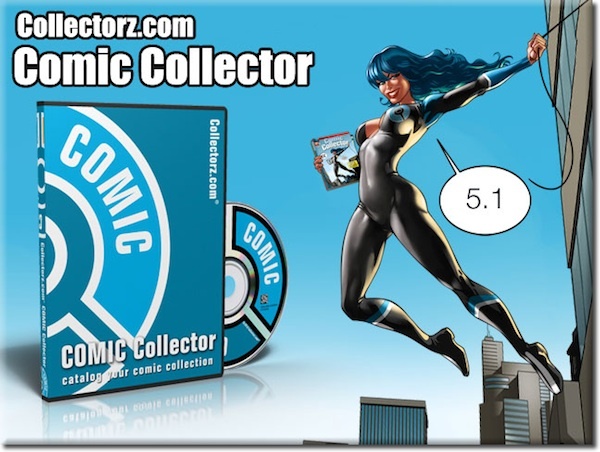 It’s finally here, Comic Collector 5 for Windows! 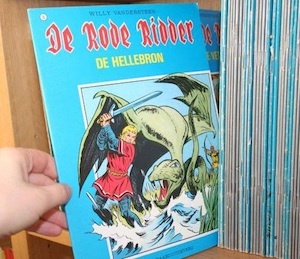 The ability to catalog comics by barcode: Just type or scan the barcode to get automatic details and cover art for that exact issue (currently for American comics only).